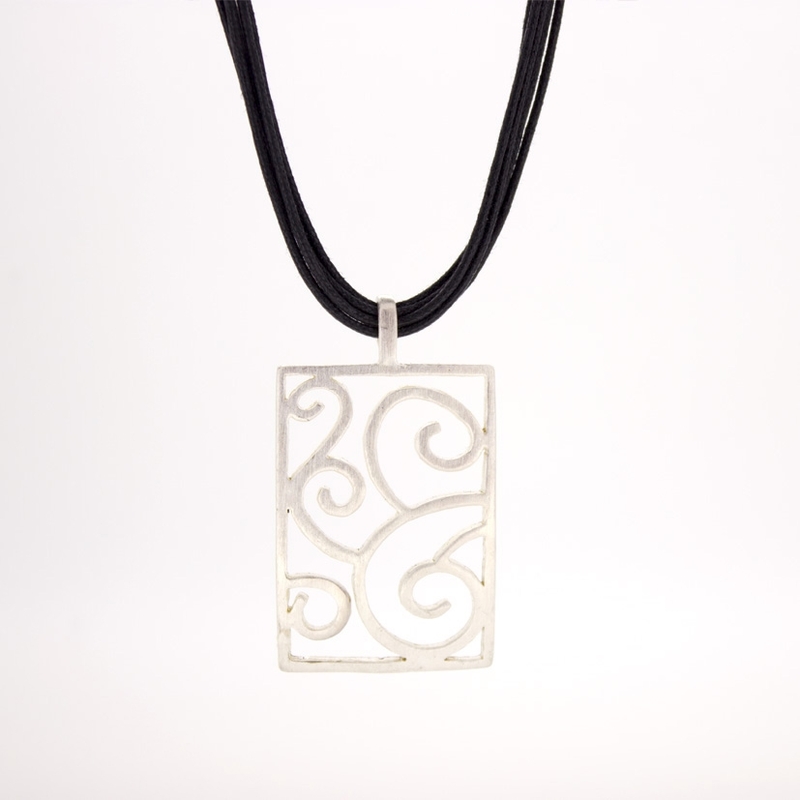 Collar with leather cords and hanging rectangular ornamented in silver of 925 thousandths. Locking carabiner. Silver Matt rhodium finish. We deliver in original case of the firm Stradda.